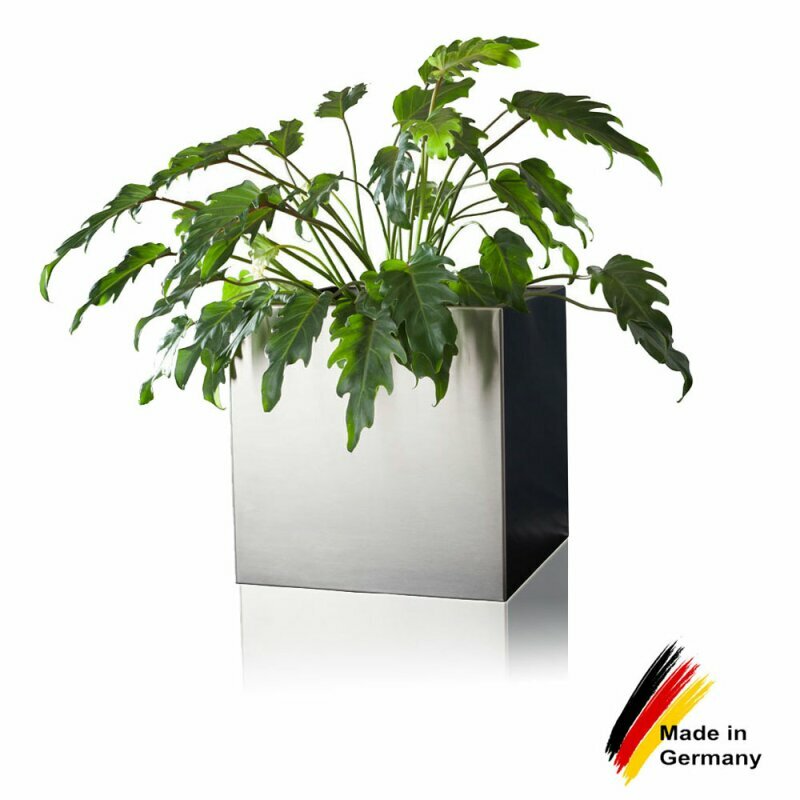 The cube-shaped CUBO 40 plant trough convinces with its graceful stainless steel look at first glance. 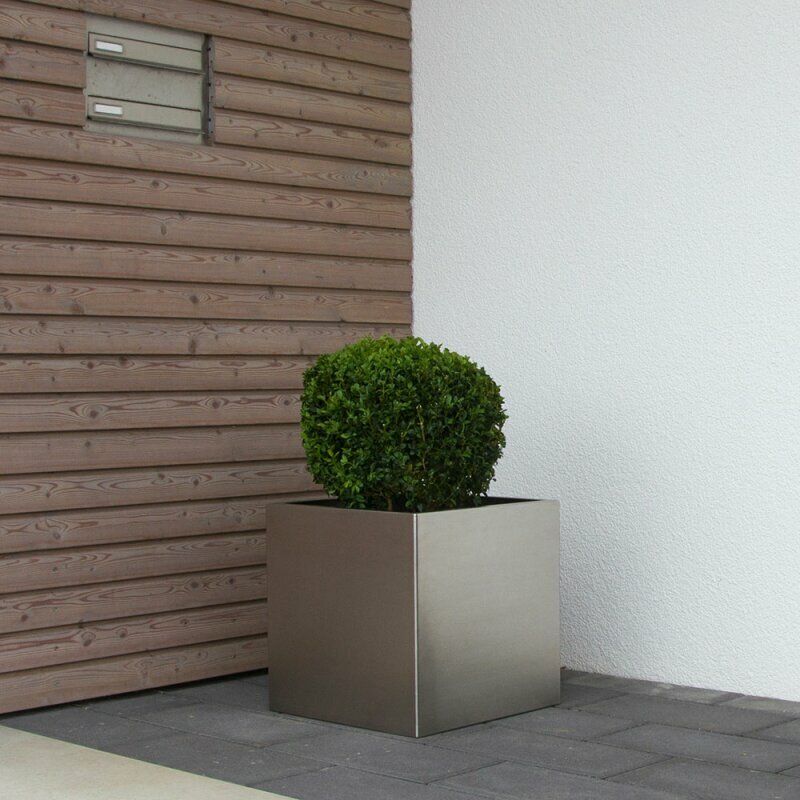 The clear, simple form and the completely timeless design enable the planter to blend in harmoniously with any environment, such as entrance areas of offices, surgeries or your garden at home. 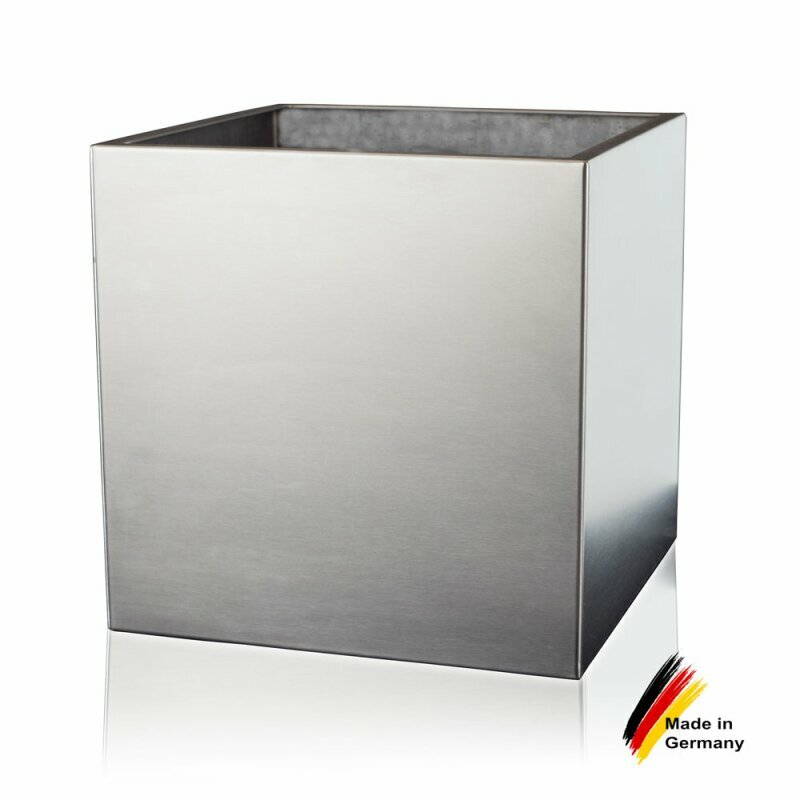 During production it is made sure that the materials and processing match highest quality standards. Adequately, the planters are manufactured from rust-free V2A steel (1.4301 stainless steel). Moreover, the bent parts with a sheet thickness of 1.5 mm are carefully welded and elaborately smoothed, until even the last weld is not visible any more. The modern, noble design makes the CUBO flower pot made of stainless steel a real visual highlight in any garden, lobby or office. 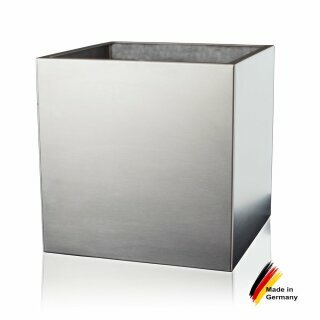 The brushed stainless steel surface is also very easy-care. Just apply some machine oil and the elegant look can already be maintained permanently. A true quality product.